This Riddle will make you think out of the box. 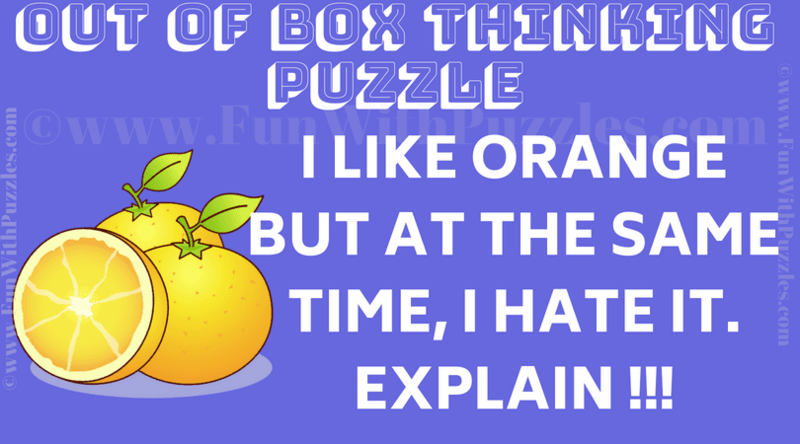 In this Picture Riddle there is simple statement related to Orange. This Riddle may look strange to you at the first instance. However there is valid answer for this Riddle. Lets see if you can think laterally and solve this riddle? Answer of this "Think out of the Box Question", can be viewed by clicking on answer button. Please do give your best try before looking at the answer. You like orange color and hate orange fruit or vice versa.